With its 2/3-scale (22.5"), the JS Series RR Minion JS1X is perfect for little shredders or grownup road dogs who need an easy-traveling instrument jam-packed with the features they love. The RR Minion JS1X offers a poplar body, speedy bolt-on maple neck with graphite reinforcement rods and a 12"-radius amaranth fingerboard with 24 jumbo frets and sharkfin inlays. 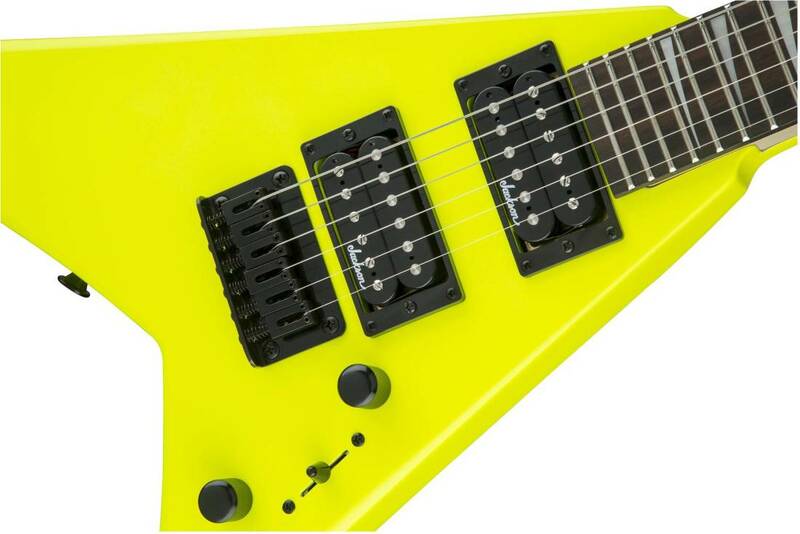 The RR Minion JS1X is available in seven super rad colours - Ferrari Red, Metallic Blue Burst, Neon Green, Neon Pink, Neon Yellow, Satin Black and Snow White.